Do you search the best jigsaw puzzles for kids and cute puzzles with colorful and cartoon pictures? Do you search the best educational game for your child? Then our Kids Puzzles game is perfect for you and your child and will be useful! ⭐ Kids Puzzles is the best educational game with beautiful and cool puzzles for kids: for boys and girls! ⭐ Kids Puzzles is intended mainly for children from 3 to 10, but is suitable for all from 0 to 100 years old! ⭐ In Kids Puzzles we selected the best puzzles for kids: animal puzzle for kids, transport puzzle for kids, fairy tale puzzles for kids, unicorn puzzles for kids, princess puzzle for kids and other colorful puzzles for kids! ⭐ Kids Puzzles game is very easy to use and absolutely FREE: no paid content, all for FREE! 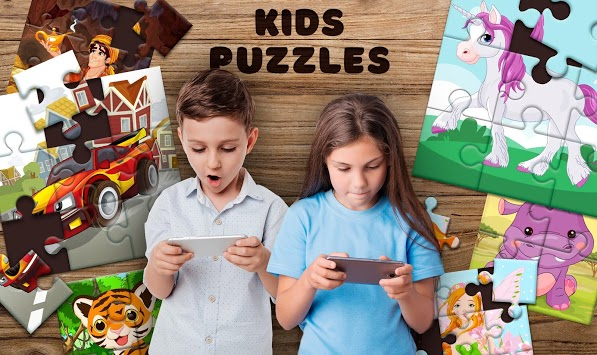 ⭐ Kids Puzzles game includes beautiful puzzles for all: kids, babies and toddlers for have fun and develop, teens and adults can use it for relax! ⭐ Kids Puzzles is great educational game. Our game will help your child train brain, develop observation skills, motor skills, logic and concentration! 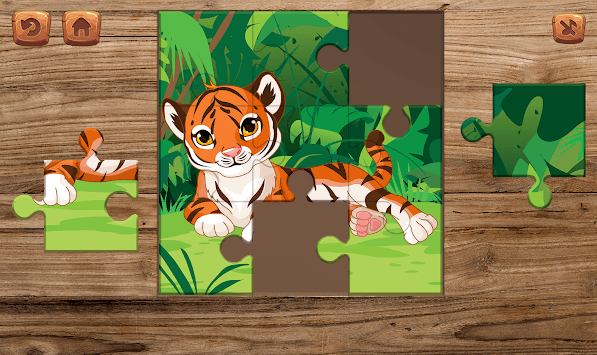 🐯 Animal puzzles for kids: wild animals puzzle, pets puzzles, domestic animals puzzle, pony puzzle, underwater world puzzles, forest animals puzzle, arctic animal puzzle, tropical animals puzzle and other beautiful animals puzzles. 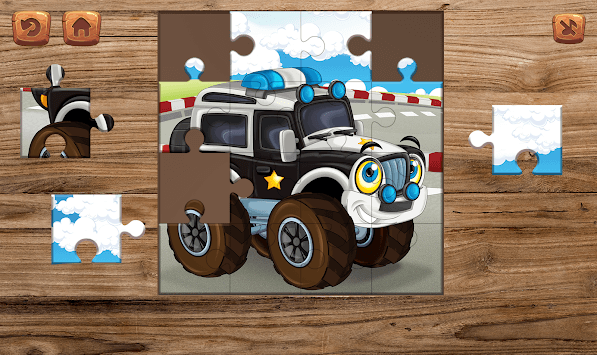 🚗 Transport puzzles for kids: cars puzzles, bus puzzle, tractor puzzle, racing car puzzles, airplane puzzle, helicopter puzzle, truck puzzle, train puzzles, police car puzzle, fire truck puzzle and other cool transport puzzles. 🦄 Fairy tales puzzles for kids: unicorn puzzles, princess puzzles, fairy puzzles, mermaid puzzles, fantasy heroes puzzles, dragon puzzle and other cartoon fairy tale puzzles. ✔ Move pieces of the kids puzzle and put together pieces of kids puzzle. Put together all pieces of the kids puzzle to get a colorful picture. ✔ When child completes the puzzle, Kids Puzzles Game congratulates the child for an excellent job. It pleases the child and supports his interest in learning and playing! ✔ Play kids puzzle game as many time as your child want! ✔ Share pictures with friends and family in Facebook, WatsApp and other social networks. 👍 Kids Puzzles is fun and free jigsaw puzzles game and educational game for kids: for boys and girls! 👍 Kids Puzzles is very easy to use and completely FREE! 👍 Kids Puzzles includes lots of kids puzzles for solve jigsaw puzzles for free! More than 90 puzzles kids! All pictures in our Kids Puzzles very cute and beautiful and we hope you and your child will love them! 👍 Kids Puzzles have different sizes of jigsaw puzzles for kids: from 4 to 25 pieces of puzzle! 👍 You and your child can play in Kids Puzzles Game on phone or tablet! 👍 Kids Puzzles have a beautiful and easy game design! Comfortable game controls make it easy to move pieces of the jigsaw puzzle and solve jigsaw puzzles! Intuitive navigation! 👍 Kids Puzzles is the best source of entertainment for all family members! 🌟 Try kids puzzle collection in Kids Puzzles absolutely free: animal puzzle for kids, transport puzzle for kids, fairytale puzzles for kids, unicorn puzzles for kids, pony puzzle for kids, princess puzzle for kids and other colorful puzzles for kids! 🌟 Kids Puzzles is perfect app for everyone who loves educational games, learning games, kids games, baby games, puzzle games for kids, baby puzzles and puzzle kids!